This week we are re-airing our presentation of the Biblical Christmas story from episode 101, featuring the staff, families and friends of Armed Lutheran Radio. This week, the staff, families and friends of Armed Lutheran Radio bring you the real story of Christmas. The cast of Armed Lutheran Radio are joined by friends of the show to share their Christmas Wish list ideas in this second Annual event. This week’s episode is a special Christmas “Wish List” episode. Lloyd, Bill, Aaron, Mia, and Pastor Bennett share their wish list ideas, and we talk to the husband and wife team behind Guns4Gals.com and the founder and president of Cook’s Holsters, Bob Cook. Still looking for that last minute gift for the gun owner in your life? Let not your heart be troubled. 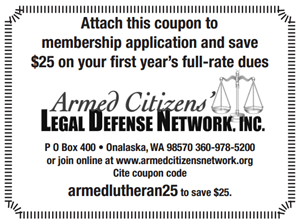 Here’s a list of great gift ideas from The Armed Lutheran.